Exiled opposition leader Moise Katumbi will not attempt to land in DR Congo after being barred from entering the country, but will instead try to enter via Zambia, his party said Friday. Katumbi, 53, who has been living in self-imposed exile in Belgium since May 2016, had planned to fly from Johannesburg to his former stronghold of Lubumbashi in a bid to stand in long-delayed December elections in the Democratic Republic of Congo. But the city’s mayor said Thursday that he would be refused entry. At least two police checkpoints were set up to screen access to Lubumbashi’s airport on Friday morning and the main road to Zambia had been blocked by a truck, an AFP journalist said. “As you can see, we are waiting for the president (Katumbi), but those in power do not want him to be there,” said Katumbi’s brother Abraham Soriano. 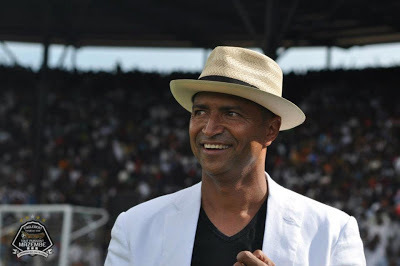 Katumbi’s entourage could not confirm on Friday that he had left Johannesburg for Zambia. The former governor of the mineral-rich southern province of Katanga had once been close to long-serving President Joseph Kabila before the two had a falling out. If Katumbi does return he faces possible arrest after being handed a three-year jail term in absentia in June 2016 in a case of alleged property fraud, charges he denies. Another rival of Kabila, former rebel leader Jean-Pierre Bemba, returned to the country and officially launched his bid for the presidency this week.